Home /Blog/L.L. Bean Backpacks for just $14.99 (Reg. $40)! If you love L.L. Bean Backpacks, you don’t want to miss this HOT deal! The L.L. 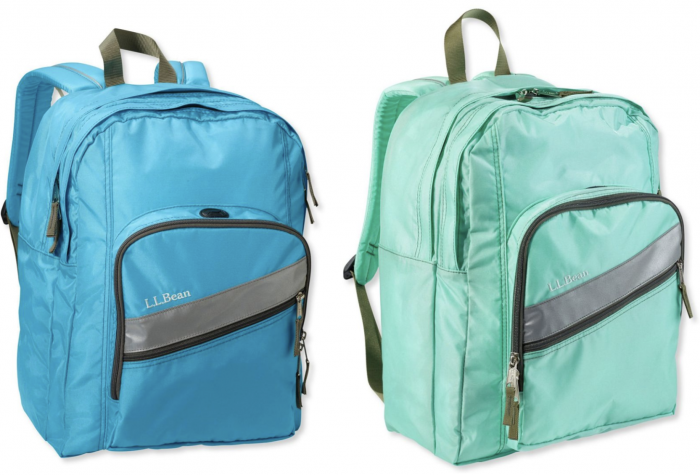 Bean Deluxe Book Pack in Brilliant Blue or Fresh Mint is on sale for $19.99, regularly $40! PLUS, you can use coupon code WINTER to get an extra 25% off your purchase — making it just $14.99!! Shipping is free on orders of $50 or more. Personalization costs an extra $8. Valid through January 22, 2019. Psst! This coupon code is good on anything site-wide and can be combined with sale items, so be sure to browse the clearance section!